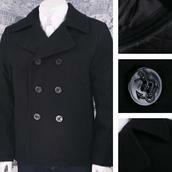 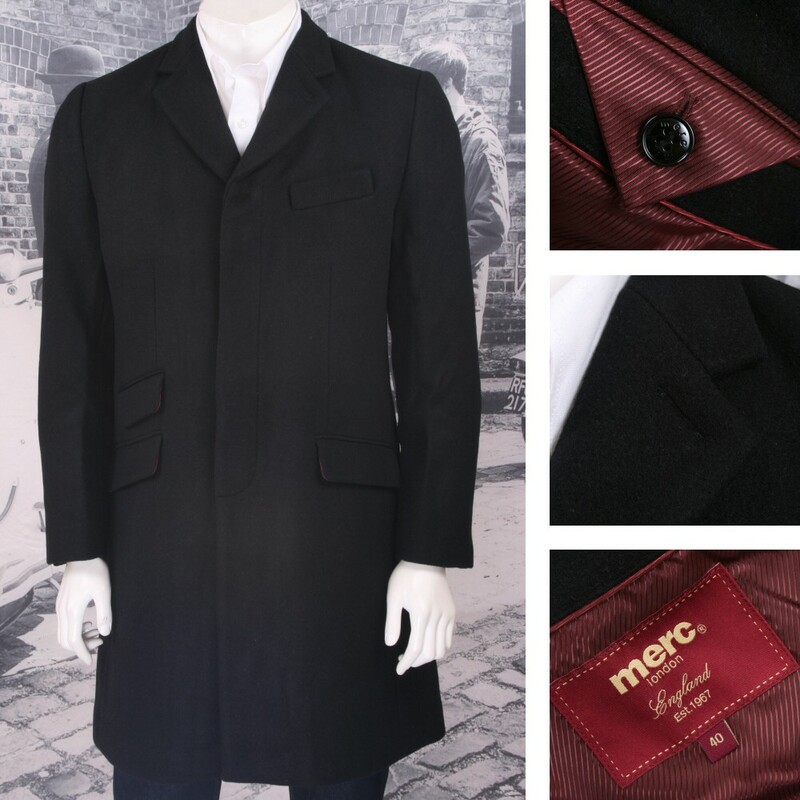 Beautifully crafted Mod / Skinhead style coat by Merc. 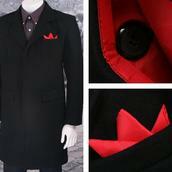 Really nicely fitted shape, hardwearing and warm 50% Wool / 50% Nylon melton fabric. Features: 3 button fly front, two front pockets + "ticket pocket", breast pocket, 2 inside pockets, fantastic Burgundy lining.